Gartzke Flowage trails and lodge will be filled with local and visiting families Saturday morning for the year-end Breakfast at Gartzke. The event, which has become a tradition on the final weekend of the year, will take place at the Gartzke Flowage ski, snowshoe and hiking trails, located nine miles east of Antigo. Take Highway F east of Antigo and continue east on Fifth Avenue Road to the trailhead. Everyone is invited to hike the quarter-mile trail to the lodge at the flowage where Antigo Bike and Ski Club members will be hosting breakfast including Belgian waffles, sausages, hot chocolate, coffee donated by The Brown Mug, and lots of other Christmas goodies. 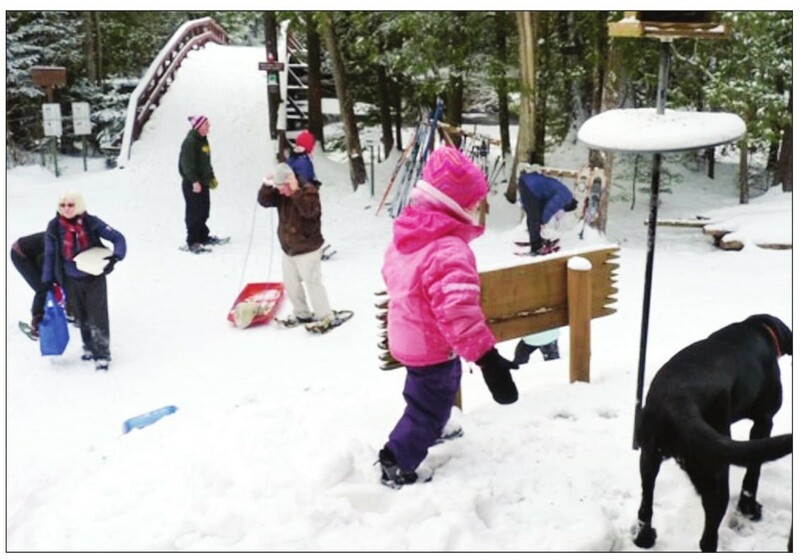 The breakfast is an annual year-end event hosted by Antigo Bike and Ski Club inviting families to experience the beauty of Gartzke for a meal, an outdoor hike, socializing and fun for the entire family. Visitors can bring treats to share, but not required along with optional donations that help the club maintain the lodge and trails for everyone to enjoy year round. provided by Antigo Bike and Ski Club members at a previous Breakfast at Gartzke. In addition to maintaining Gartzke Trails, the club hosts winter snowshoe and cross-country ski activities, summer bike rides, a summer camping outing along with spring and fall planning events. Families interested in joining the club can find information at www.antigobikeandskiclub.com or call club president Brady Koss at 715-216-0497.